The remains of more than 140 children and 200 young llamas have been unearthed at a Chimú Empire site on the northern coast of Peru. It’s the largest known mass sacrifice in history. 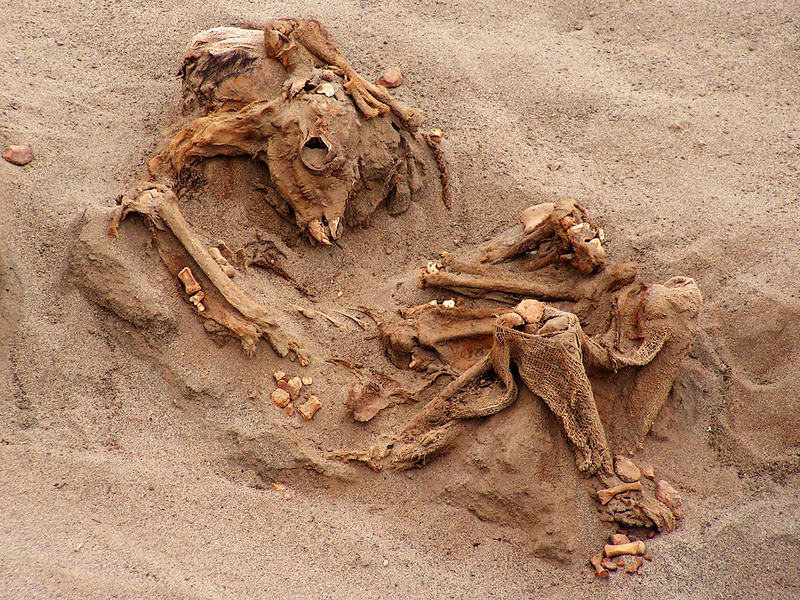 Huanchaquito-Las Llamas (generally referred to by the researchers as “Las Llamas,”) first made headlines in 2011, when the remains of 42 children and 76 llamas were found during an emergency dig directed by study co-author Prieto. 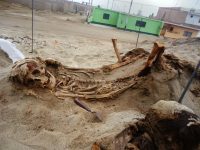 An archaeologist and Huanchaco native, Prieto was excavating a 3,500-year-old temple down the road from the sacrifice site when local residents first alerted him to human remains eroding from nearby coastal dunes. 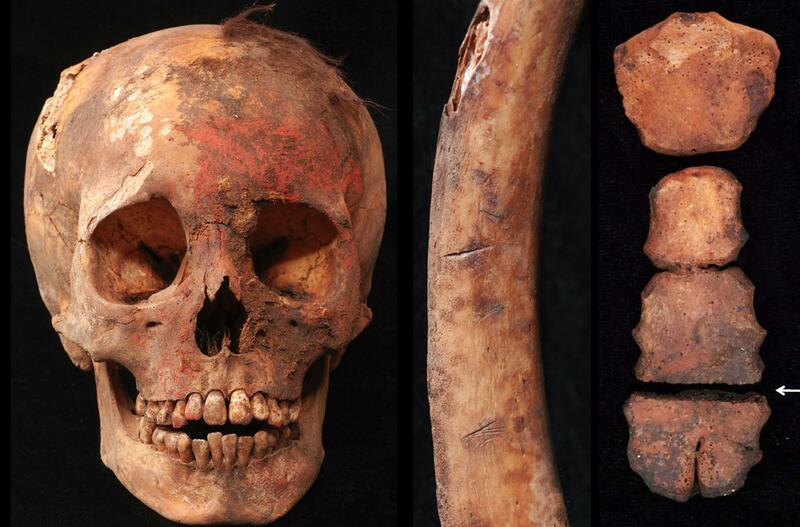 The tell-tale marks of sacrificial killing are on their skeletal remains. There are cut marks on the sternum, dislocated ribs, likely from when they were pulled apart to access the heart. The lack of hesitation marks suggests this was done by a very practiced and steady hand or hands. The children were between five and 14 years old, most of them between eight and 12. 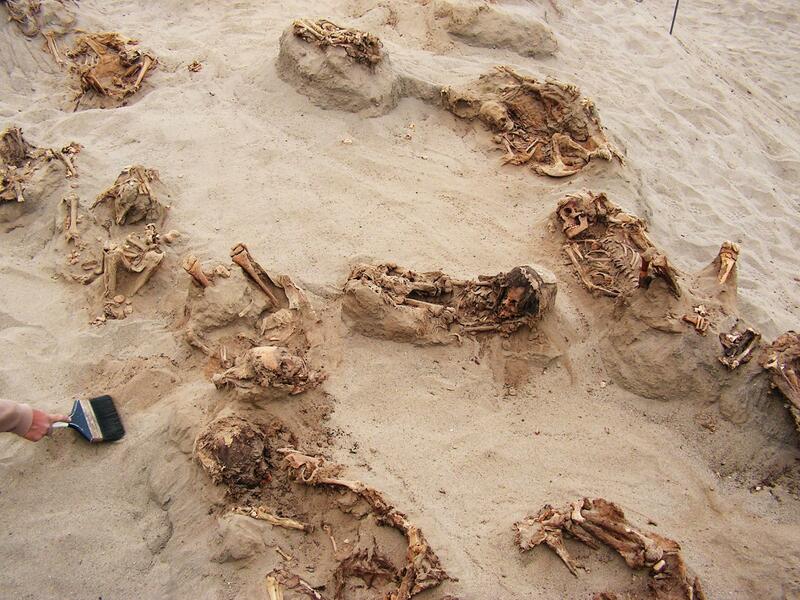 The llamas were even younger, less than 18 months old. 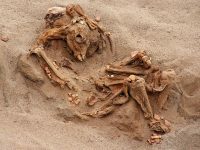 The evidence indicates all this killing took place at one extended event rather than having been spaced out over time.